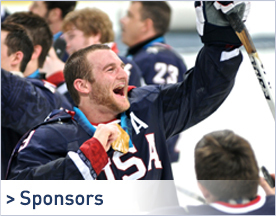 Taylor Chace, 27, of Hampton Falls, NH has been selected to the 2014 US Paralympic Sled Hockey Team following USA Hockey's annual tryout in suburban Buffalo, NY. 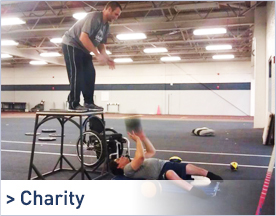 The team will be training for the 2014 Winter Paralympic Games to take place in Sochi, Russia March 7-14. Chace, who experienced an incomplete spinal cord injury while playing ice hockey with the NH Junior Monarchs in 2002, has been a member of the United States Sled Hockey Team since 2005. He has competed in the past two Paralympic games in Torino, Italy (2006) and Vancouver, BC (2010). Chace was named Paralympic Athlete of the Year in 2010, after leading the United States to a Gold Medal. He has also competed in four world championships. In April 2013, he traveled to Goyang, South Korea, winning a Silver Medal in the International Paralympic World Championships. Chace was named defenseman of the tournament. When asked to comment on his recent selection, Chace stated, "This was the most competitive tryout we've had in the history of our sport due to the increasing number of military veterans entering the sport, as well as the growth in our youth and adult development programs. Over 60 athletes competed for 17 spots. The coaches had some difficult decisions to make." "It's always an honor to represent the United States. My teammates and I look forward to defending our Vancouver Gold Medal. " Since his retirement from The US Sled Hockey Team in 2014, Chace is a Program Specialist at Northeast Passage at the University of New Hampshire where he coaches sled hockey. He is a certified Strength and Conditioning Specialist through the National Strength and Conditioning Association. 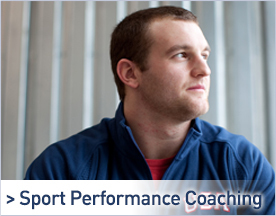 He works full time for the Athletic Performance Center of Exeter Hospital where he trains competitive teams and individuals of all ages and abilities.